Neil Heywood was the victim in the Gu Kailai murder trial. First he was poisoned to death. Then he was character assassinated. No one stood up for the victim, and his purported quotes, actions and dealings were taken at face value. Even the accused put words in his mouth. Neil Heywood suffered a punishing character assassination long after he was murdered. Yesterday Gu Kailai was sentenced for her crime. She received a suspended death sentence, meaning for two years she will not be executed and the death penalty will be commuted after that if she behaves well. I think that means she better make her jail cot and try not to poison anyone else. More than anything, Gu Kailai better not complain or bring attention to her case. But what about Neil Heywood? An evaluation of the man solely based on trial testimony paints a very unflattering picture. He was a business partner scorned who threatened the child of a long-time friend. He was going to expose international money transfers and wanted a big slice of the action. He drank so much he vomited. Gu Kailai was not sentenced to death because she was protecting her son from harm. While testimony has been used to explain the illegal actions of Gu Kailai, it has also been a non-stop character assassination of Neil Heywood – a devoted husband and father of two. Let’s explore further. Neil was born in 1970 and attended Warwick University where he studied international relations. In the early 1990s he moved to China where he met then married his wife, Wang Lulu. Together they have two children. He met Gu Kailai in the mid-1990s when he was living in Dalian. 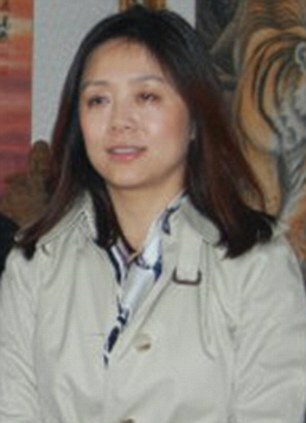 Her husband, Bo Xilai, also became friends with Neil Heywood. Over the years the families had more and more business and social engagements. In time it became twisted and challenging to maintain. In 2010 Neil Heywood was denied a British passport for his wife. They were unable to leave China. It is unclear if this attempt to relocate was due to strained relations with Bo Xilai and Gu Kailai. Some report of purloined papers that incriminated Bo Xilai to insure Neil Heywood against retribution. Others say the two families had no business dealings. 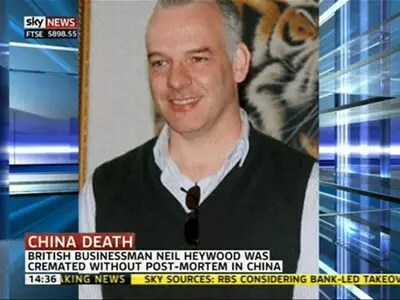 In November 2011 Neil Heywood was found dead in a hotel room in Chongqing. The cause of his death was listed as alcohol poisoning. His family was pressured not to request an autopsy by police who would later be convicted of trying to cover up a crime. His body was cremated immediately. Neil Heywood leaves behind a bereaved widow, who has retreated from public eye. He has a son and daughter who attend an international school in Beijing. The family lives in a walled compound on a tree-lined street in Beijing. His widow Wang Lulu could not speak of his death because she was very sad.